I’m Jim Humble, thank you in advance for reading this Newsletter. I want to tell everyone that I am retiring from the Genesis II Church of Health and Healing. I hope this does not disappoint anyone, but let me explain. Although I am almost 85 years old, I still have a lot of energy, and I have a lot of things I must do in this lifetime. I am planning several projects and these are things that I feel can best be accomplished outside of the G2C. I started the Genesis II Church along with Mark Grenon. I have seen the sacraments (MMS and other things) of the Church save many lives and overcome much suffering, and this has brought a great deal of joy to my life. But now, along with my retirement, Mark Grenon is head of the Genesis II Church of Health and Healing. It is important to know that even though I am retiring from the Church, I am not retiring from MMS. But I have other things I must do that being the head of a church would only take up my time when Mark is already doing the job. Mark and I do not always agree on everything. But the main thing is MMS and that isn’t a matter of agreement or disagreement, it is a matter of demonstrated facts. MMS works! So Mark will continue with the church while I focus on other things with MMS and longevity. I will be involved in giving seminars, humanitarian projects, and research and development. 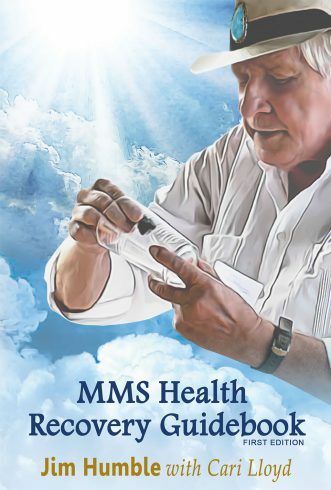 Meanwhile, I hope to be sending out more regular newsletters on a variety of subjects regarding MMS, longevity and spirituality–sharing with you data that I hope will be useful. I will be putting on seminars (hopefully several a year in various locations), concerning MMS and longevity and spiritual things. So even though I will not have a hand in the Church matters or any kind of responsibility in the G2C, everyone is invited to stay in contact with me. I will no longer be receiving mail at any email related to the Genesis II Church. You can instead go to the contact section on my website: jimhumble.is where my staff and I will do our best to get back to you. The church and I will both have a copy of the same newsletter mailing list starting soon—in other words, this mailing list will be cloned. Each will then maintain our own list…initially with emails that we already have, including yours. You can decide which one, or both you wish to subscribe or unsubscribe to. Therefore, if you are reading this newsletter that means you will be getting my future newsletters—so stay tuned! Good fortune to you along the way, and with love.